Today, Chessington World of Adventures Resort announced a new and enchanting addition to the Surrey Theme Park and Zoo for spring 2019. ‘Room on the Broom - A Magical Journey’, brings to life yet another of author Julia Donaldson and illustrator Axel Scheffler’s much-loved children’s stories, following in the footsteps of the Resort’s Gruffalo River Ride Adventure. 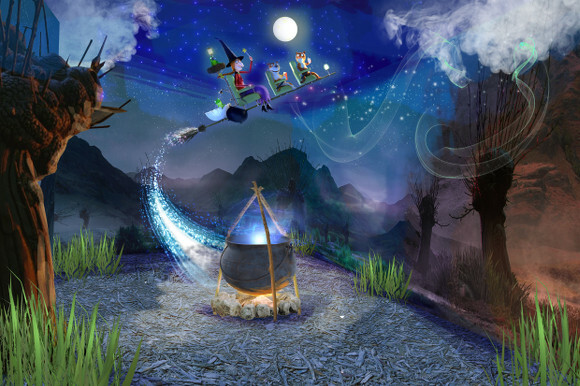 ‘Room on the Broom - A Magical Journey’ is set to open at Chessington World of Adventures Resort in spring 2019 and will be accompanied by two themed Room on the Broom bedrooms in the Chessington Safari Hotel. ‘Room on the Broom - A Magical Journey’ is being created in partnership with the license holders, Magic Light Pictures Ltd.
Priory Park’s popular playground is set to be refurbished next year to replace its ageing equipment. The playground, which opened in 2007, is now 11 years old. With over three million visits to the park each year from all over the borough and further afield, it is showing signs of wear and tear. 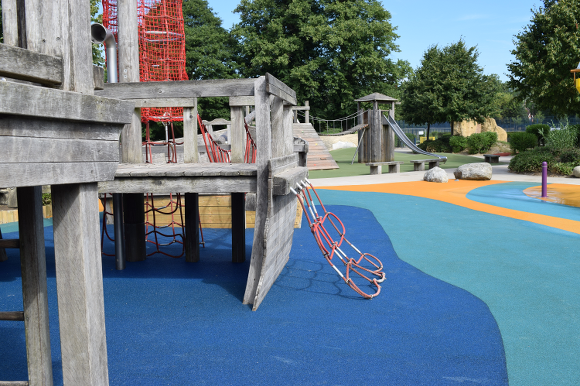 The well-loved ‘Grey Lady’ ship will remain in spirit, but will be replaced with something more modern while in keeping with the playground’s nautical theme. The refurbishment will also include other popular pieces, like the climbing tower and zip wire, which are currently out of action. To take part in the survey visit: www.reigate-banstead.gov.uk/priorypark. In the meantime, the Council will continue to maintain the existing equipment. Repairs to the zip wire, tower slide and part of the ship will be taking place soonso that can be enjoyed once again. On the most haunted day of the year, Halloween, Chessington World of Adventures Resort will offer petrified parents with a courageous child the opportunity to ‘Rent-a-Mummy’, to accompany their offspring to enjoy the spook-tacular Howl’o’ween fun at the Resort. Having braved ancient tombs and centuries in the sarcophagus, the ‘Mummys’ will be available free of charge to accompany daring children while panicky parents relax and... ‘un-wind’. 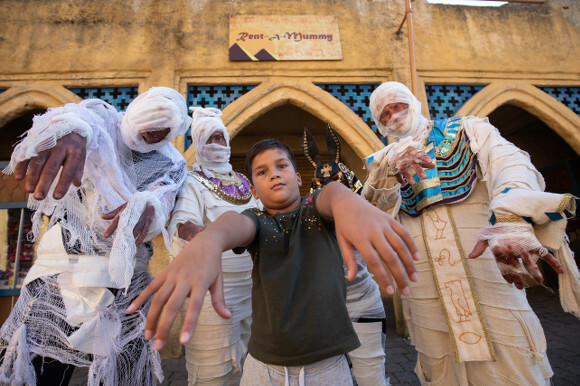 Parents keen to ‘Rent-A-Mummy’ at Chessington World of Adventures Resort on Halloween, simply need to sign up at https://www.chessington.com/rent-a-mummy/ . Guests will be selected at random for the service. Terms and hieroglyphics apply. 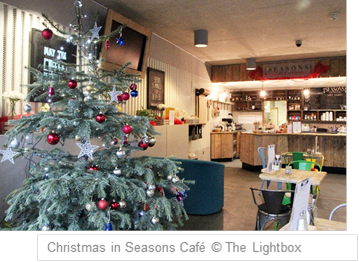 This festive season The Lightbox gallery and museum has everything you need to get into the Christmas spirit. Get a head start on your Christmas shopping with a visit to The Lightbox’s annual Arts and Craft Fair, taking place on Sat 1 December 2018, 10.30am – 5.00pm and Sun 2 December 2018, 11.00am – 4.00pm. The Arts and Craft Fair features stalls from over 30 of the best independent and local vendors, including delicate hand-made silver jewellery inspired by nature from artist Caroline Thomson as well as sweet syrupy goodness from the local raw honey producer Busy Bees Honey. With so many different stalls, you can get your Christmas shopping out of the way early, stress-free, and have more time to spend with family and friends. It wouldn’t be Christmas without a little music! So alongside these festive gifts and goodies, live music from festive recorder group Reformed Recorders will jingle all the way through the building throughout the Arts and Craft Fair. Christmas shopping undoubtedly works up an appetite, so Seasons Café are on hand, serving up a special seasonal menu for the course of the Christmas season. Wash down those first festive Advent chocolates with a warming mulled wine, stuff your bellies to the brim with hot tasty mince pies, or put your feet up and tuck into Seasons’ Christmas club sandwich, between exploring the galleries and browsing the goodies in the Shop. As stressful as Christmas gifting can be, it doesn’t have to put a strain on your purses. With discounts in the Shop for Friends over the festive period, you can rest easy knowing you won’t have to break the bank this Christmas to delight your loved ones with unique, hand-crafted presents. There’s no better place to browse for your Christmas gifts, as every purchase from the Shop supports The Lightbox charity, as well as the independent small business suppliers that stock its shelves with their crafts and creations. It’s the perfect way to share the joy this festive season with gifts that give back. Overlooking the Basingstoke Canal, The Lightbox is a stunning location to host a party or event. If you’re searching for a unique venue to host your Christmas party, the light, airy and contemporary design and Modern British art lining the walls makes The Lightbox an unforgettable setting. This autumn BookTrust has published its Great Books Guide 2018 which features, for the first time ever, 100 book recommendations for children aged 0-12. It contains books to help reluctant readers, books to get children exploring nature this half term and even some potential books for Christmas inspiration. The Great Books Guide will be delivered to 17,500 schools across the country from 1st October, so keep your eyes peeled. 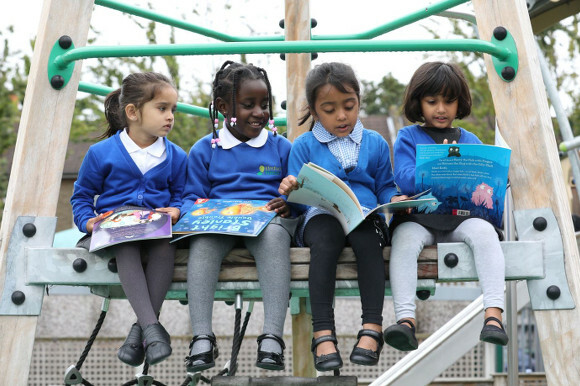 BookTrust knows that children who read have better life chances. They are happier, healthier, more empathetic, more creative and do better at school. Reading enjoyment also helps to build confidence, wellbeing, development, attainment and social skills. This year the Guide is beautifully illustrated by Mini Grey and features books from a host of wonderful authors and illustrators including current Waterstones Children’s Laureate Lauren Child, Nadia Shireen, Chris Riddell, Judith Kerr and Eoin Colfer. The Guide boasts a diverse and inclusive range of fiction as well as nonfiction children’s books, which explore themes as varied as animals, space, UFO mysteries and the human body.